Team Password Manager includes a password generator to help the user generate strong, random passwords. 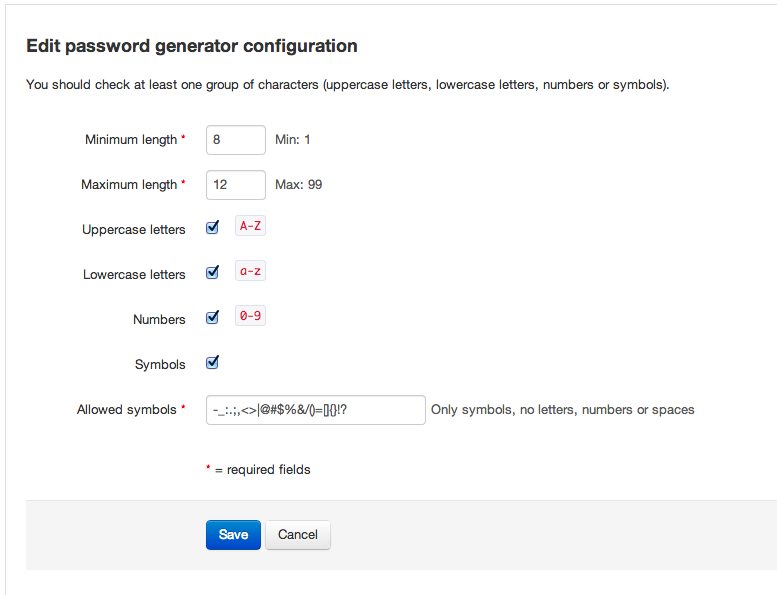 When editing a password, the password generator checks that the password field is empty before generating a new password. This is a security mechanism so that the user doesn't overwrite the password field accidentally.